Samford University’s Resource Center for Pastoral Excellence (RCPE) has received a grant of $800,000 from the Lilly Endowment Inc. for a five-year program to implement new congregational resourcing initiatives. The grant will enable the RCPE to expand its program for ministers to provide new resources intended to advance congregational excellence. The initiatives include resource specialists to help congregations identify and address a wide variety of needs, a resource library and guide, small targeted seminars and workshops and resource mini-grants. Outcomes assessment, a research project conducted by the Provost’s office and a pilot project to test a new resourcing method are also being made possible by the grant. Wilson noted that congregations “typically look externally” to find assistance specific to an area of mission and ministry. “Fortunately or more often unfortunately, a dizzying array of programs, services, coaches, consultants and agencies exists a click away that range widely in suitability, flexibility and cost,” he said. The RCPE will offer a means by which congregations can first learn to think creatively about their needs and then generate the best possible solutions utilizing both their own resources and wisely chosen outsides resources, Wilson said. The Samford program will enlist a team of 10 to 15 experienced current and/or former pastors and well-regarded denominational consultants to serve as resource specialists. They will be trained to work with individual congregations to help clergy and congregational leaders identify their key challenges and opportunities. Resource specialists will function much like coaches, utilizing a technique called facilitated self-learning whereby congregations discover their own needs and solutions. The RCPE then helps provide resources to address their needs or to help them act upon their discoveries. Resource Library and Guide—The RCPE maintains a library on subjects related to pastoral ministry and congregational life. The collection will be enlarged and a new resource guide will be developed that includes information on proven resources. Both will be made available for use by congregations. Small, Targeted Seminars and Workshops—Events at Samford or on site at participating congregations will be offered for small groups of congregational leaders (up to 50 persons). This smaller group approach will facilitate greater interaction between participants as they address their chosen topics of interest. 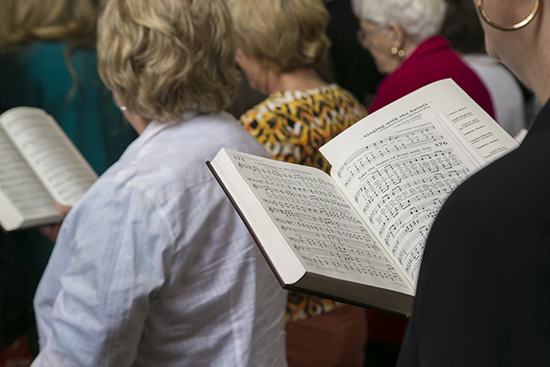 Resourcing Mini-Grants—Congregations can apply for one-time mini-grants of up to $1,500 to be applied toward expenses related to resourcing goals and needs chosen for action by the congregation. Resource specialists will assist in preparation of the proposals. Outcomes Assessment—The RCPE will collaborate with participating resourcing teams and congregations to conduct assessment of outcomes. Focus groups, questionnaires and surveys will be used to collect information. General Research—This will encompass three areas of focus. First, Samford will conduct a study of the changing relationships between church-related colleges, Christian universities and churches. The study will be conducted by the Provost and will look at how school programs can both influence and be enriched by the ministry of the local church. Second, the RCPE will collaborate with Samford’s Center for Worship and the Arts to provide networking resources and administrative support for research initiatives. Third, Penny Long Marler, professor emerita of religion and RCPE research fellow, will provide consultative services in matters relative to the ongoing research related to congregational life. Resource Consulting Pilot Project—The program will conduct a pilot project to investigate the impact of facilitated peer learning as an effective resourcing strategy. This approach will bring together two or three churches who want to work together to learn from each other as they respond to challenges and opportunities in their ministry setting. The first project already is underway between Baptist Church of the Covenant in Birmingham and St. Charles Baptist Church in New Orleans, Louisiana.